24h-genericstore.com operated for more than six years before the Operation in Our Sites – a joint operation by the US government and other international agencies shut it down. The 8th Operation in Our Sites program was the one that provided a seized order to 24h-genericstore.com and closed it down. The location of this e-store was not disclosed by the operator and can’t be found on their website. The tagline of 4h-genericstore.com was ‘your reliable supplier of generic medications.’ The medications offered by this e-dispensary were from India and were claimed to be Indian FDA approved. The website said that their products were internationally certified and were safe for human use. They added that these medicines were compliant to the Drugs and Cosmetics Act of India 1940. Customers who were looking for prescription and over the counter medicines were able to use the offers from 24h-genericstore.com. they had drugs from more than 30 medical categories including common conditions such as obesity, migraine, hair loss, skin care, arthritis, viral infection, bacterial infection, and asthma. They also offered prescription medications like treatment for cancer, HIV, erectile dysfunction, hypertension, high cholesterol, and diabetes. They even offered drugs for Alzheimer’s and Parkinson’s. When it comes to their bestsellers, they had generic Viagra for $0.80, generic Cialis for $1.30, generic Levitra for $2, generic Cialis Soft for $1.45 and Kamagra for $1.50. 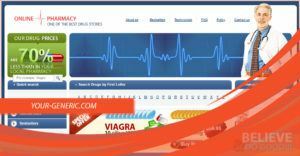 Although most are from the erectile dysfunction category, they also had other medicines under the bestsellers list from other medical categories such as Amoxil for $1.25 per pill, Clomid for $0.69 per tablet, Cipro for $0.78 per pill, Diflucan for $1.45 per tablet, Propecia for $0.60 per pill, Zithromax for $1 per piece, and Synthroid for $0.28 per tablet. What we liked about this website were the different payment options they offered to their customers. They accepted payments via credit card, EuroDebit, bank wire transfer, check payment, Money Gram, and Western Union. The payment option appears after clicking on the checkout page. If the option was not on the choices, it means it was not available in your country. Once payment was approved, orders will be forwarded to their warehouse for packaging and shipping. Orders were shipped to customers of 24h-genericstore.com via Courier Service for $30 and Standard International Airmail for $10. The more expensive option takes only up to 9 days for the order to be delivered while the cheaper option takes up to 21 days. For delayed, missing or incomplete, contact the support team of 24h-genericstore.com at 800 532 4808, 718 313 1498 or 200 222 7084. They can be reached via their contact us page as well. For those who want to talk to someone but doesn’t have a phone, they were able to reach 24h-genericstore thru their live chat support team. 24h-genericstore.com had a reimbursement and policy page where they placed their policies when it comes to requesting a refund or reshipping of missing order. 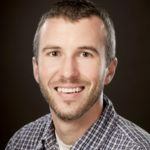 The bottom line was customers must contact the support team for these requests to be reviewed. For a six-year-old online pharmacy, we are surprised to find it hard to search for a customer review for 24h-genericstore.com. The web store didn’t have a reliable customer review except for their own on-site testimonials. We check them out and here’s what we found about 24h-genericstore. 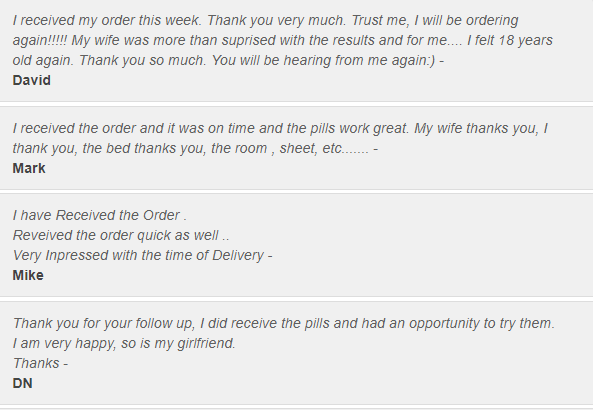 These were just a few of the many positive customer reviews that 24h-genericstore had on its testimonial page. They published it to show to potential customers how reliable they are. The thing is we knew that these seem to be fake or written by paid reviewers and we don’t consider them as legit reviews. Though we are unable to find the closing date of 24h-genericstore.com, we believe that it was shut down before 2018 hence there are no available reviews for this year. 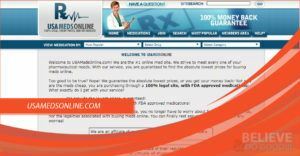 24h-genericstore.com was one of those online pharmacies that didn’t believe in using coupon codes to attract new customers. What they offered to their customers were perks and specials that will keep customers on coming back. They offered free pills, free shipping, and loyalty discounts. For free pills, it can be from 4 tablets to 20 tablets (the maximum) depending on the number of pills ordered. Free shipping also has its qualifying amount while the loyalty discount is offered to all returning customers. Loyalty discount starts at 5%. 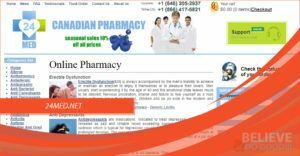 24h-genericstore.com was an internet drugstore that offered generic Indian medicines. They offered them at the lowest price possible. They also assured their customers that these were safe and effective and were Indian FDA approved. We also appreciate the different payment methods and shipping methods that this e-store had. What we find alarming was the fact that their reviews were fake and unreal. We also find it doubtful that they did not put their location on their ‘About Us’ page. As an online consumer, we always want to deal with e-stores without a shady background. This could be the reason why they became a target of the US government and were seized down. Even if their medications were affordable, we cannot trust them if we can’t find a reliable review.